How to make good system better. Now it’s time for innovation. Less projects and more time to organize working processes better and be prepared for next busy time. This story is just an example how to improve working processes by integrating best parts of different CAD’s software. Long time ago we started to use Nupas system for hull structure modeling and up to now looks like it is a one of the best systems. Easy to use, easy to learn, high modeling productivity, good set of output documentation and drawings, friendly interface, therefore Nupas has been chosen by many companies around all of the world. We started to work with Nupas in Vik-Sandvik, then continue in Wartsila Ship Design. Nupas was used in several offices at same time. Very often offices form different countries are worked on the different areas of same project. By using system so hard and so long time we have found some weak points, where we can improve our productivity and quality. First problem we found – hull lines fairing process took too much time and did not provide required quality. From time to time Nupas users faced some problems with the hull lines during modeling process. 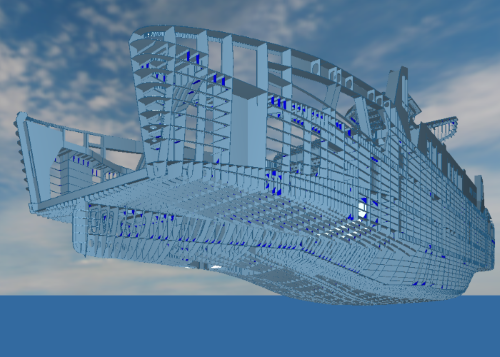 Then we have to do some extra fairing, update hull lines and recalculate constructions in corresponding areas. But Nupas users may not detect some of these problems, because they mostly work in local areas, limited by dimensions of hull unit, and don’t have full overview. Then it will be detected by shipyard on production stage. It is more dangerous, because company may have big financial lose if metal is cut and welded by wrong hull lines. Fixing problem on this stage cost a lot of money. Another problem is wrong shell plate development based on wrong hull lines. This mistake can be detected only by shipyard and obviously cost a lot of man hours to fix it. Another weak point is in output documentation preparation and especially in nesting and NC programming. We found that our Nupas users spend comparable time for structure modeling and for nesting. To make nests information more readable, users have to spend many hours to manually change texts heights and positions on DXF parts. Nesting and routing also take a lot of time. There is some difficulties with using of nesting database – if we work in different offices with same project all nesting and database should be in one office. This is create some limitations for users from another offices. Another important issue is postprocessors. We work with many different shipyards and need lot of different CNC postprocessors for each cutting machine. Postprocessor can be made by software vendor - it take time, and cost money. By request of Salt Ship Design Company Marine Software Integration propose solution for improving productivity of Salt’s Nupas users. By using Shape Maker software Salt save more than 50% of time for hull lines fairing and improve hull surface quality. 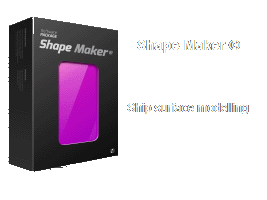 Shape Maker functions for surface quality control helps to avoid any problems with hull surface. IGES export form Shape Maker perfectly fit with Nupas Shape Import module, because based on the same geometrical kernel. All surfaces required for modeling of structure, can be made in Shape Maker. Another benefits – shell plates development from Shape Maker for plates in complicated areas. Nest Maker / NC Maker was specially design for nesting plate parts on shipyards. By Salt request our software has been adjusted to use it together with Nupas. 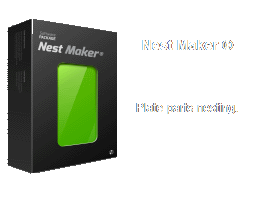 Nupas DXF parts read by Nest Maker and used for nesting in local database. All text adjustment for DXF part done automatically by user request. Auto nesting and auto routing save a lot of time during nesting process. It usually take few hours instead few days. Data base so simple and well organized that can be used in different offices at same time and keep material usage and rest system. If it is necessary, database can be moved from one office to another in minutes. We realized also back link to Nupas with information about nested parts. 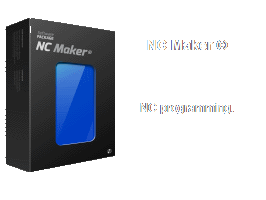 With NC Maker we completely close problem with new postprocessors. With this software user can do it himself without any help from software vendor. This technology tested by Salt Ship Design more than three years. Data can be varied from user to user, but in general we save about 50% of working time of nesting process. Production of the workshop documentation is very time consuming process. Typically, the project runs a team of Nupas users. Save time at each workplace will give a significant acceleration of work on the project as a whole.